Hey, listen, have you ever heard of mobile app video? I want it to be made for my mobile app, but I am unable to decide that what all do I need to include in so my mobile app can gain the maximum attention from the targeted audience because I heard that mobile app video help your mobile app to gain the attention from the user base. To cut the fun short from my blog post, lemme hop back to the main point of relishing the main highlight on app video, so please stay hooked to my blog post and explore the ways to make your app video a successful marketing venture for your mobile app. The very aspect you should be very much well-aware with is certain essentials before hitting the app video directly, since the existing competition in the mobile app industry has taken the quality standard to a different level, where users can simply quit your app and choose your competitor, if they fail to receive the result as per their expectations. Your app video is an extract of your mobile app’s features and functionalities, thus it is crucially important that your mobile app MUST reflect and tell the users that what your app does. For instance if your mobile app genre is fashion and you are showing the ramp, super models, and designers, then your users might get confuse with the nature of mobile app, but if your app simply shoes the dresses and the other related functionalities of the app, then it makes the video clear and succinct, and your users would comprehend that what your app is all about. 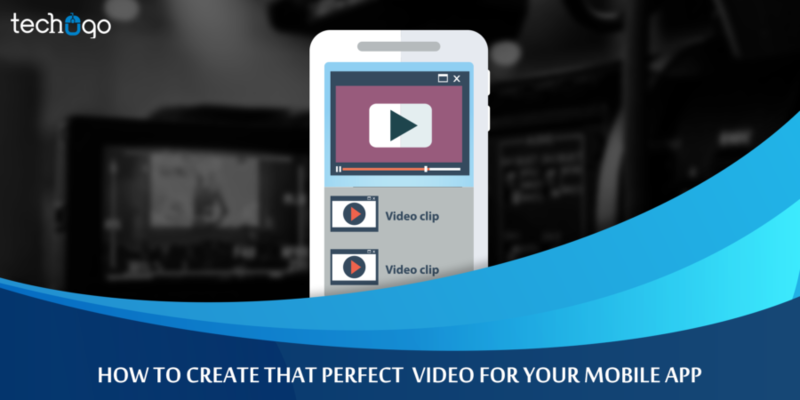 An app video can only be perfect and become an irresistible piece when it clearly mentions the functionalities and the features of the mobile app. Do not fall for the gimmick of showing ALL the features, rather the effective strategy suggests that you only showcase the practical benefits users can gain from those features. It must show the simplicity of each feature and how it will help the users in solving their requirements. Usually, users are very particular about their needs and have a limited time window to spend on the online video, which clearly signals that your mobile app video needs to be SUCCINCT and RELEVANT. On an average the most preferred app video time is 20 second, beyond that it makes the users lose interest and forget what exactly the first few seconds suggested about the mobile app. Thus, never ever make a lengthy mobile app which is hard to be digested by the users, because your users would never stick around for the long hours just to check what your mobile app would show in the video teaser. Yes except being simple and short one more aspect you need to get in your mobile app and that is the engaging factor in your mobile app. Your mobile app video has to be engaging enough so the users stay on for those 20-25 seconds and yearn for more. It can have animation, content and even the music to justify its genre so the mobile app video is further enjoyed by the users and it is able to create a stir in the market, if the app is about to or already launched in the market.